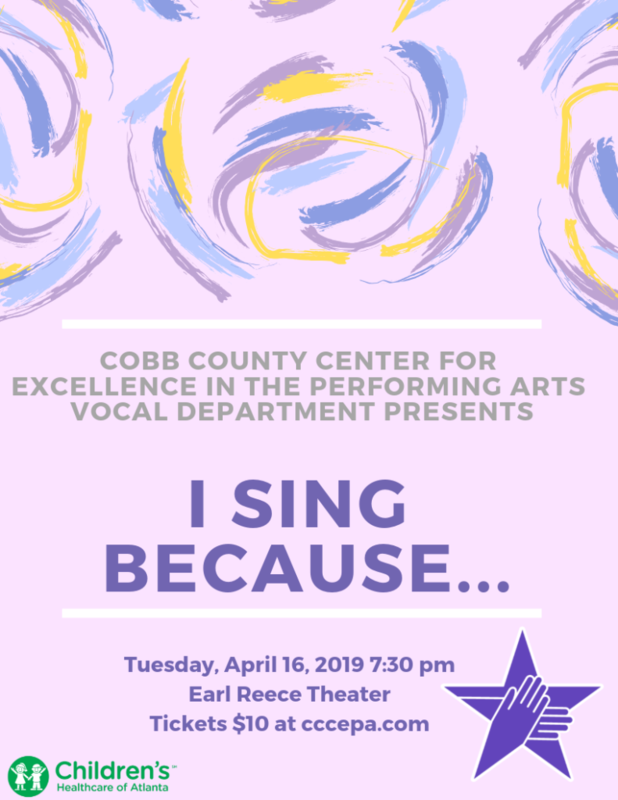 The CCCEPA Vocal Department presents the Spring Vocal Concert, “I Sing Because…,” at 7:30pm on Tuesday, April 16, in the Reece Performing Arts Theatre on the Pebblebrook campus. Join us for an evening of music that will mark the final performance for Dr. Woolf at CCCEPA. She will be leaving us at the end of this school year to become the Director of Choral Activities at her alma mater, The Paideia School. Click HERE to purchase tickets. 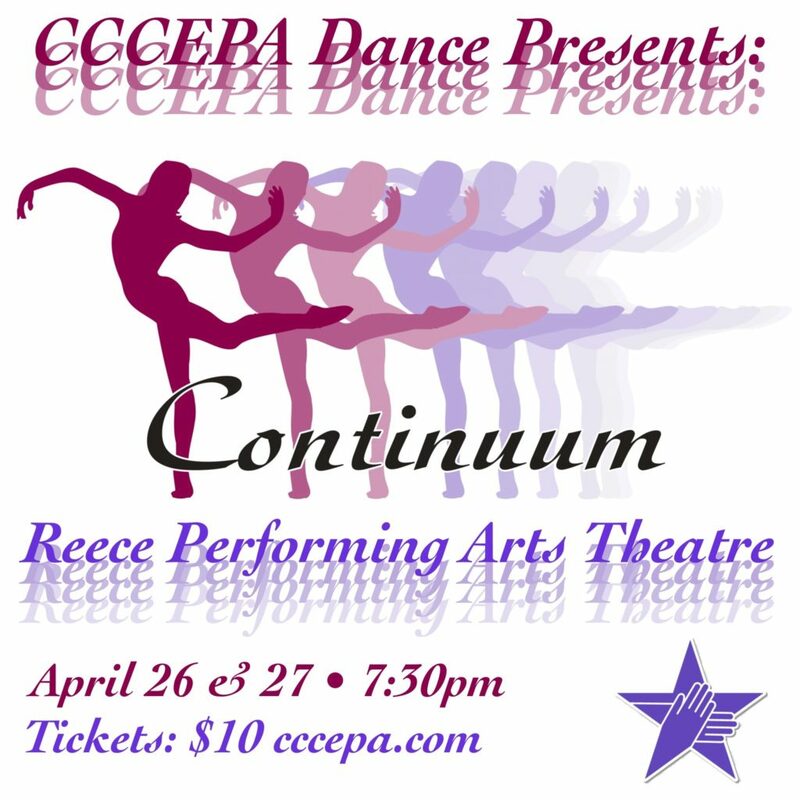 The CCCEPA Dance Department presents a Spring Dance Concert: CONTINUUM Friday, April 26 at 7:30 and Saturday, April 27 @ 7:30 in the Reece Performing Arts Theatre on the Pebblebrook campus. The concert will feature nearly 170 dance majors and minors from the performing arts magnet program. Click HERE to purchase tickets. 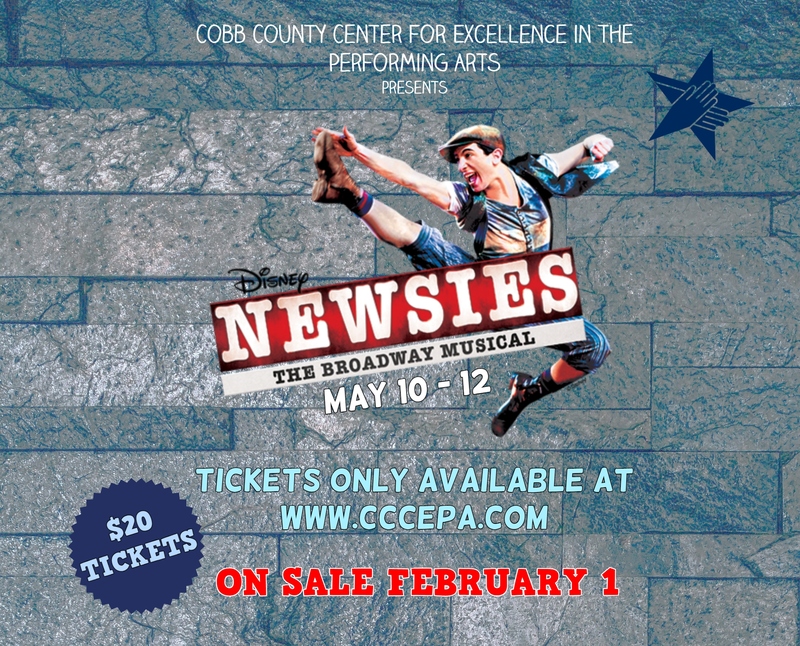 Tickets are now available for CCCEPA’s production of Disney’s NEWSIES. Performances are May 10-12 at the Jennie T. Anderson at the Cobb Civic Center complex. Click HERE to purchase tickets. NOTE: NEWSIES is a CCCEPA production. Tickets for NEWSIES are not available in advance through the Anderson Theatre box office.